Anti-Flamme Creme is a very popular herbal relief creme used for the relief of pain related to Bumps, Bruises, aches and pains. Futuro Deluxe Thumb Stabilizer helps stabilize the lower thumb joints for arthritic symptoms or degenerative conditions of the thumb. The FUTURO Epicondylitis Elbow Support offers firm support to help relieve pain in case of irritations, overuse syndromes and tennis elbow (lateral epicondylitis) or golfer elbow (medial epicondylitis). Futuro Sport Moisture Control Knee Support is designed to provide firm support to help relieve acute and chronic knee pain. Natures Kiss Chafe Ease provides protection to areas prone to chaffing. Crampmed relief helps promote normal muscle function and movement both nocturnally and during the day. 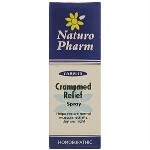 To relieve bruises, sprains & strains of any muscles.